Dr. Casey Motl has been elected as President of the Arkadelphia Public Schools Board of Education for the 2018-19 school year. Motl replaces 2017-18 President Randy Turner who will remain on the board. 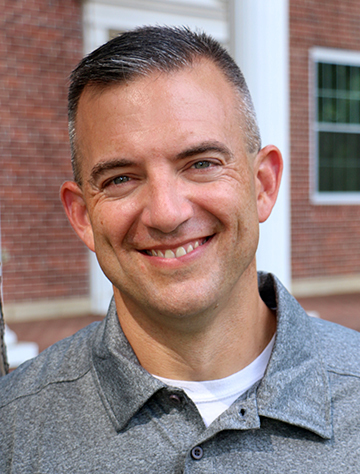 Motl currently serves as the R. Voyt Hill Associate Professor of History at Ouachita Baptist University, where he is about to enter his 13th year on the faculty. Motl is a 1994 graduate of Texas A&M University with a Bachelor of Arts degree in History. Motl earned his Master of Arts degree in History from the University of North Texas in 2000 and his Ph.D. in History from Texas A&M in 2006. Motl began his career as an educator in 1995 as a history teacher in the International Baccalaureate program at Garland High School in Garland, Texas. This will be Motl’s fifth year on the APS Board of Directors as he was elected to the position in 2013. His wife Lori is the Director of Admissions Counseling at OBU. The Motls have three children: Ryan, a 2018 AHS graduate and incoming freshman at Ouachita; Sydney, a junior at Arkadelphia High School; and Joshua, a freshman at AHS. Motl is looking forward to serving the community of Arkadelphia in this role. APSD Superintendent Dr. Donnie Whitten welcomes Motl to his new role on the board. “We look forward to working with Dr. Motl in his new role on the Board of Education," said Whitten. "We are grateful to him and all of our board members for their service to our students and schools. Other officers on the board for the 2018-19 were also approved during recent meetings. Dr. Kenneth Harris will remain as the Board’s Vice President and Ms. Karrie Goodman will remain in the office of Secretary for the Board. Other Board members for 2018-19 include: Ms. Paulette Blacknall, Dr. Jeff Root, Mr. Randy Turner, and Ms. Gina White.